If you use aloe vera gel, juice or any other form of the plant, you undoubtedly have experienced the many benefits of this miracle plant. For many people, the next step is your own growing aloe vera plant. While this won’t meet all your gel and juicing needs, growing your own is a great way to learn about caring for and preparing you aloe vera plant. 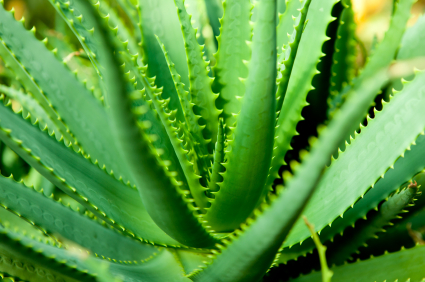 Here are a few pointers to help get you started on your own growing aloe vera plant. Miracle plant, aloe vera (Aloe barbadensis) is one of the simpler house plants to grow if you have a less-than-green thumb. It’s also versatile in that you can grow the plant indoors situated on a kitchen windowsill or in the garden if you live in a very warm and dry climate. 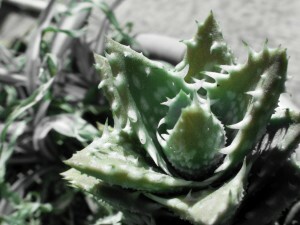 A. aristata Lace aloe: The small tight rosette of gray-green leaves is covered in tiny white spikes. Occasionally produces a spike of orange flowers. A. variegata Partridge-breasted aloe: Overlapping V-shaped leaves form a tight rosette and are banded with white. A spike of orange-pink flowers may develop. A. vera: This interesting plant is useful and easy to grow. In optimum growing conditions the loose rosette of very fleshy, gray-green, toothed leaves may produce a flower spike bearing dozens of tubular yellow flowers. 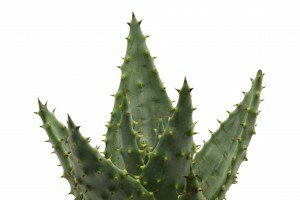 Position: Aloe requires a sunny position and a very well-drained soil. Propagation: Aloe vera can be raised from seed, but it rarely sets seed in other than warm climates. Propagate it from offsets that form at the base of the plant. Allow these plantlets to dry for two days before planting them into small pots filled with a gritty, free-draining potting mix. Once they are well established, transfer them to their permanent position. 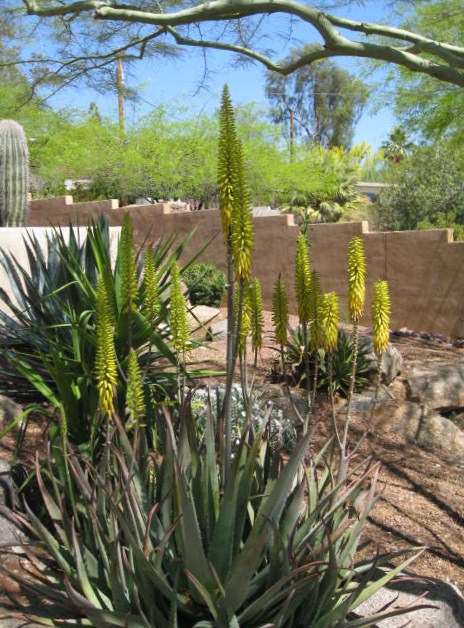 Check out this video to see how people are making aloe vera plants work in different climates. You can maintain your plant with minimal care, especially if you live in warmer climates.